A woman has been arrested after a man was injured in an assault in Penwortham. A knife and a hammer were recovered at the scene. 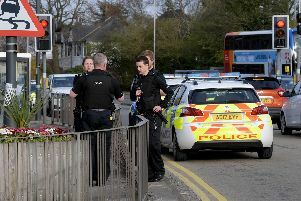 Police were called at shortly after 8.30am on Thursday (March 7) to an address on Woodburn Grove. Emergency services attended and found a man in his 50s with injuries to his face and back. It is believed the incident took place at an address on Far Lane. The victim was taken to the Royal Preston Hospital for treatment. His injuries are not believed to be life threatening. A 54-year-old woman from Preston was arrested on suspicion of wounding with intent to cause grievous bodily harm and is currently in custody. It is believed the two parties are known to each other.